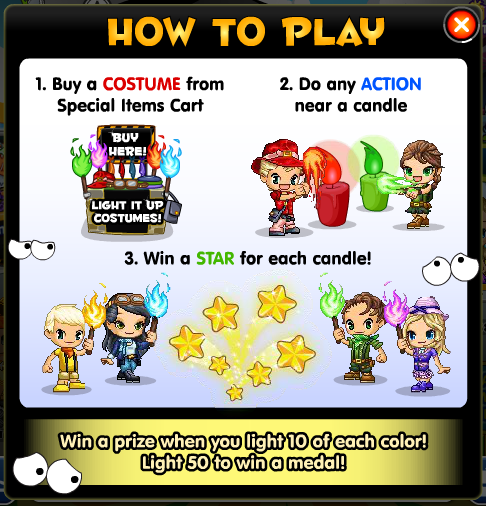 Fantage has released a new event! 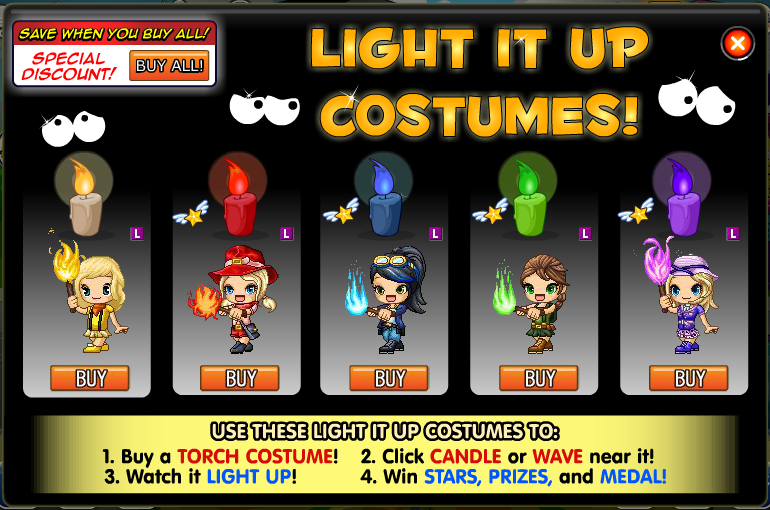 First, buy a costume from the cart, then search for the specific color candle and do an action near it to light it up! There’ yellow for nonmembers, and red, blue, green, and purple choices if you’re a member! 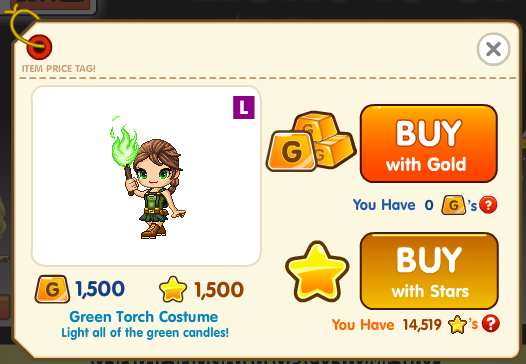 The price is 1,500 Gold or 1,500 Stars! The prizes are the same as last time, a pin for nonmembers, and accessories , outfits, and hairs as prizes for members! 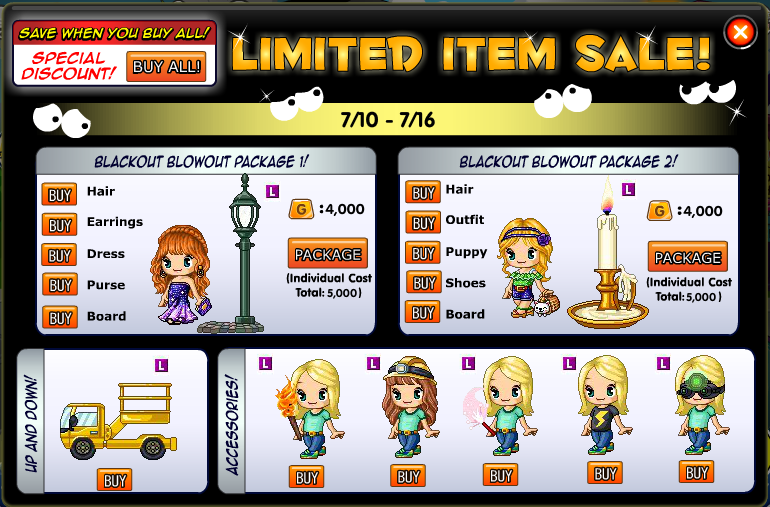 Get into the event by buying the limited items from the cart! 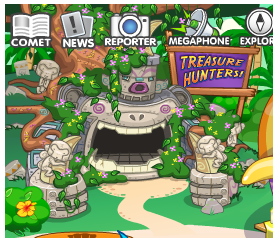 That’s all for this event! 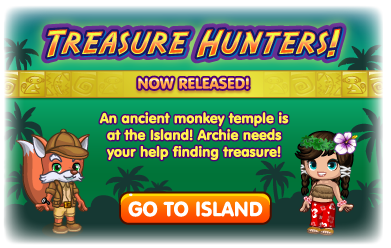 Treasure Hunter’s event released in Fantage! 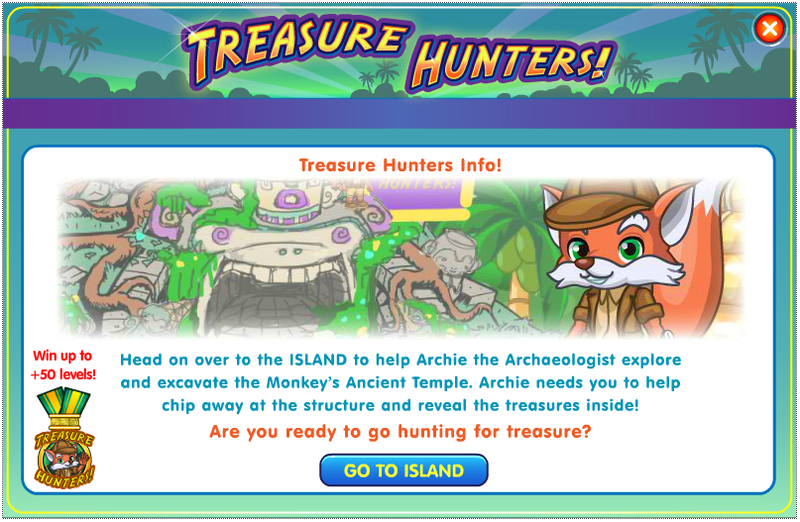 Help Archie uncover the Monkey’s Ancient Temple! Find the temple all the way to the left of the island. Click bricks on the wall to break them! 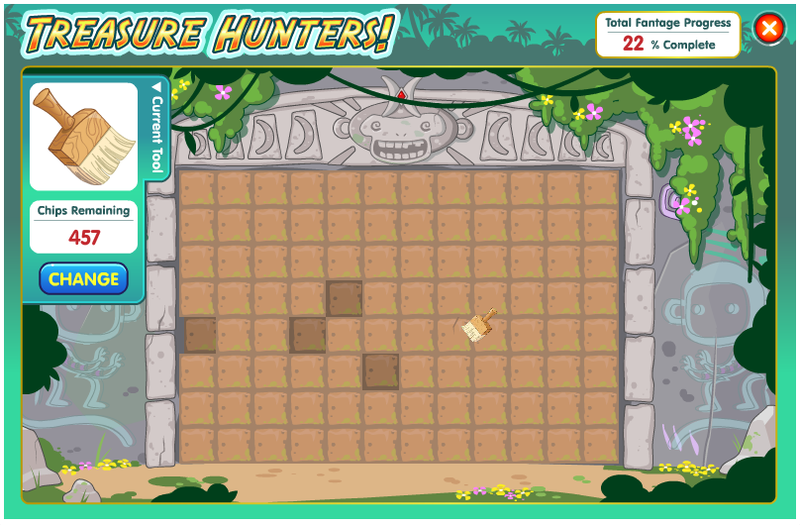 Find prizes while breaking the wall! 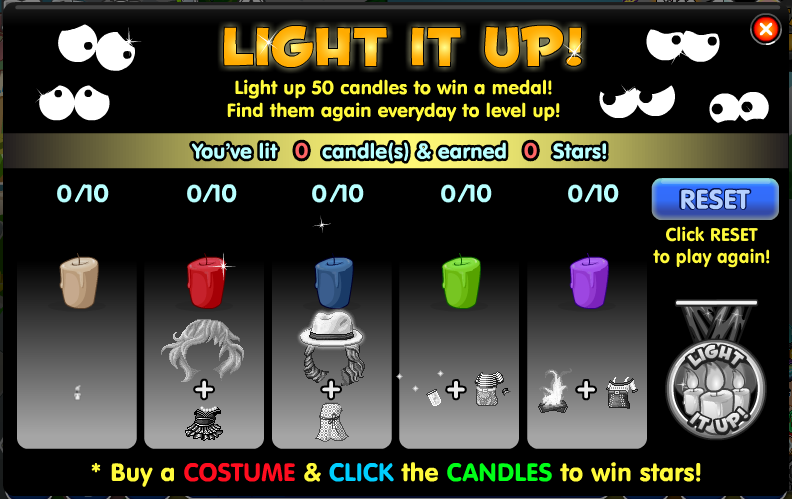 You can even get special items or eCoins if you’re the top 100 clickers! It takes 10 clicks to break one brick with the normal brush! You can break 50 bricks with the free 500 they give you every hour! 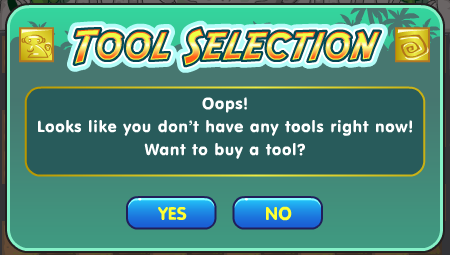 Buy more tools, or wait a while! 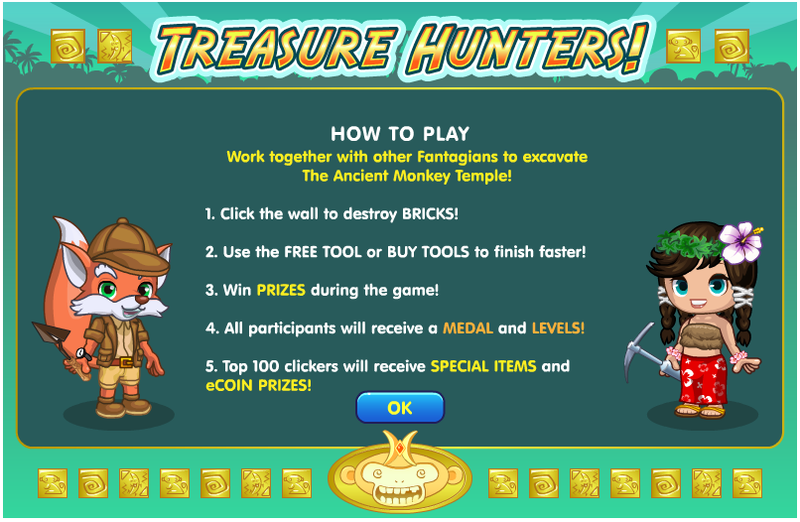 Get clicking and win some prizes!